This is important on many levels. One, it is welcome news to the CRE industry, which has been listening to and wondering about the steady drumbeat of warnings about the apartment sector. Two, apartment growth has wider implications for the whole US economy. The strong demand for apartments along with the need to renovate the 11.7 million units of aging apartment stock across the country will affect the US economy in a positive way for years, Caitlin Walter, director of Research for the NMHC tells GlobeSt.com. In general, apartments and their 39 million residents contribute $1.3 trillion to the US economy and generates about 12.3 million jobs annually, according to a NMHC stat. This includes new construction, operations maintenance and spending by residents at local stores or coffee shops, she said. 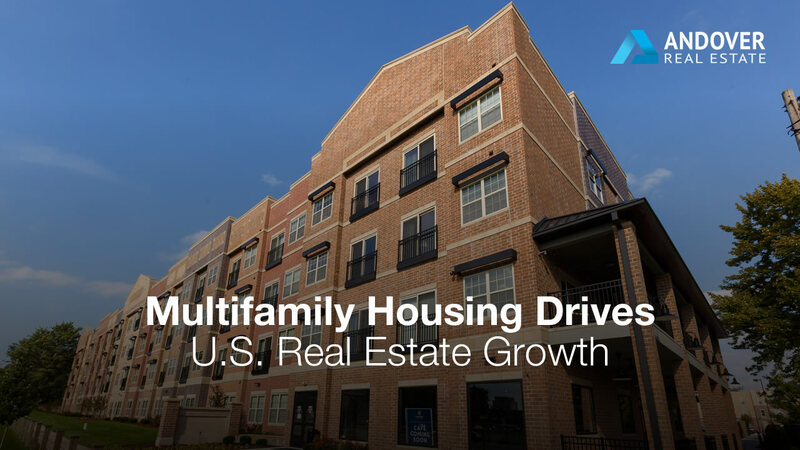 “Apartments and their residents make a difference and help support the local economy.” At this point it would be fair for one to wonder about the many reports that the fundamentals in multifamily sector are slowing. Rent growth, vacancy — all have shown signs of a market that is nearing the point of where supply has exceeded demand. This is certainly true but as the report makes clear it is mainly the case for class A and luxury buildings. These categories have been overbuilt, in part because they bring in more income but also in part because it can be difficult to pencil in new development for workforce housing. Diving Into the Demand Drivers There are a number of reasons for this log jam on the apartment sector’s supply-demand continuum — some of which have been identified before. Changing lifestyles. People are delaying marriage and starting a family — the two main drivers for home purchases in the past. In 1960, 44% of all households in the US were married couples with children. Today, it’s less than one in five (19%), and this trend is expected to continue, according to the report. The upshot: More than 75 million people between 18 and 34 years old are entering the housing market, primarily as renters, according to Norm Miller, principal at Hoyt Advisory Services and professor of Real Estate at the University of San Diego. Demographics. People are growing older and as they do they are opting to live in apartments. This is particularly true in the northeast, where renters ages 55-plus will account for more than 30% of rental households. “Increasingly, Baby Boomers and other empty nesters are trading single-family houses for the convenience of rental apartments. In fact, more than half of the net increase in renter households over the past decade came from the 45-plus demographic,” Miller said. Immigration growth. International immigration is expected to account for half (51%) of all new population growth in the US, especially along the border states. This population increase will contribute to the rising demand for apartments. Research has shown that immigrants have a higher propensity to rent and typically rent for longer periods of time. Regional Breakdown Of course, real estate, as always, is a market by market story and this report is no exception. It is telling, however, that there is no city or region that was identified as having enough supply to meet the expected demand.